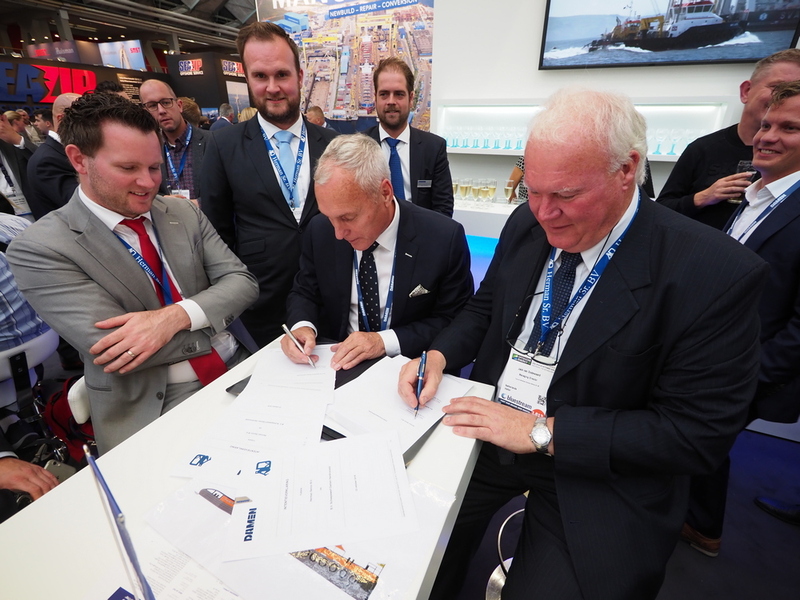 Dutch marine services provider Herman Sr. BV has announced at Offshore Energy 2018 that it has agreed with Damen Shipyards Group to order the first of a newly-developed Damen Shoalbuster type with full DP2 capabilities. This will be the first of a new class within the Shoalbuster series and one of the largest available. 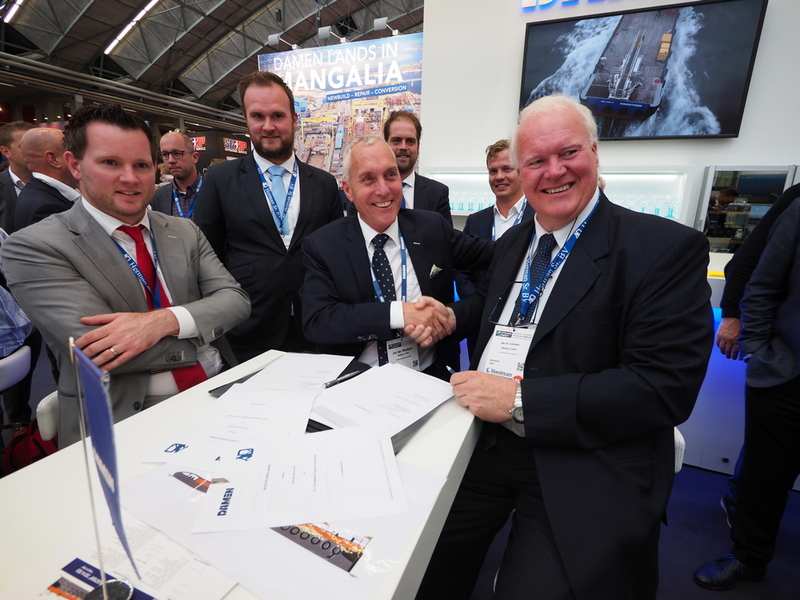 The vessel will be built at Damen Shipyards Hardinxveld. 35 metres in length, nearly 14 metres wide and with a free deck space of 150m2, the Shoalbuster 3514 will be a substantial working platform. Her SD (Shallow Draft) notation is derived from her exceptionally shallow draft of 2.70 metres at full tank capacity and just 2.40 metres at 50%. 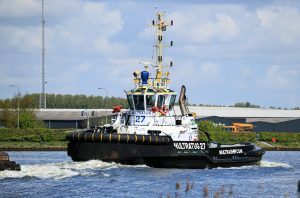 Among the many roles that this first DP2 Shoalbuster will be capable of fulfilling will be anchor handling, for which she will have an open stern complete with roller, and towage. 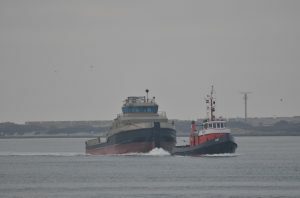 With 60 tonnes of bollard pull she will be a powerful and effective towage asset. Four Caterpillar C32 ACERT engines will deliver a total of 3,879 bkW (5,280 hp) to four 1900mm nozzles, an arrangement that contributes significantly to her shallow-waters capability. The vessel will carry a crew of five to six mariners, but she will have accommodation for up to 22 personnel, allowing her to support projects both ship-based and elsewhere. 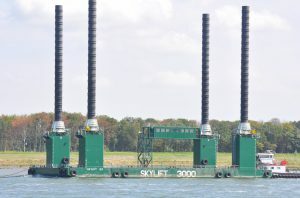 Herman Sr. intends to use its Shoalbuster 3514 for wind farm support and maintenance, where its shallow draft will allow it to work both near as well as off shore. 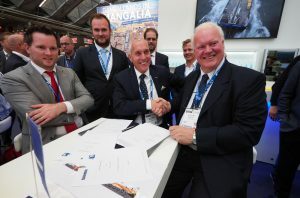 Its vessel will have a DP2 Kongsberg dynamic positioning system including ancillary thrusters to ensure precision position-holding on the open sea as well in the vicinity of turbines and other structures. 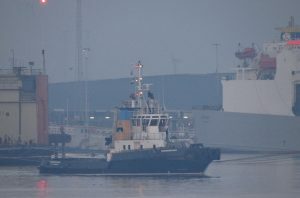 Its open stern will also make the vessel suitable for cable-laying operations and a sturdy aft deck knuckle boom crane will be capable of lifting a wide assortment of cargo and equipment. 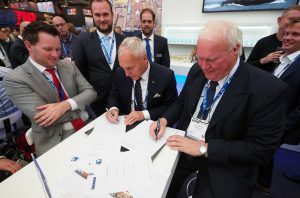 Jack van Dodewaard, managing director of Herman Sr, commented: “We are very happy to be continuing our more than 70 years of cooperation with the Damen group, in particular with Damen Hardinxveld. That was where in 1947 the first vessel, the HeGeJowith a 77 hp Caterpillar engine, was built for our family. Many more vessels have followed since. Delivery of the Brutusis scheduled for spring 2020. IKAR met nieuwbouw LINGESTROOM / YN 571764 aangekomen.